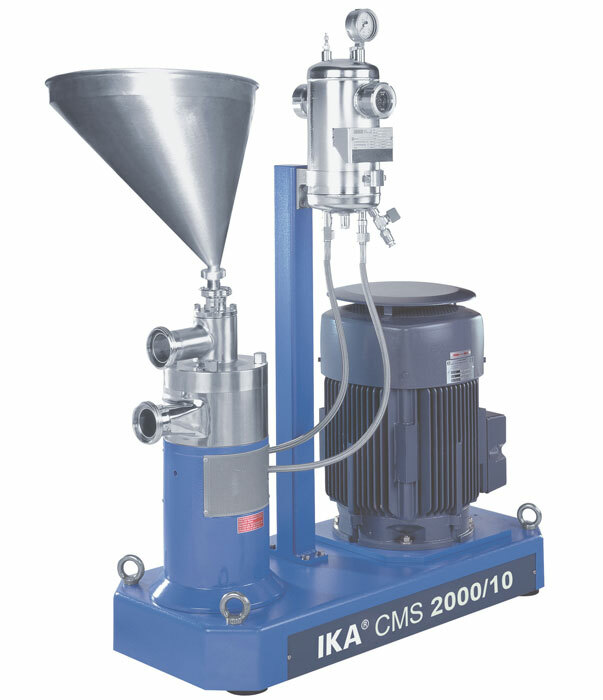 The IKA CMS 2000 provides an extremely high suction capacity that is ideal for wetting out difficult to mix powders. 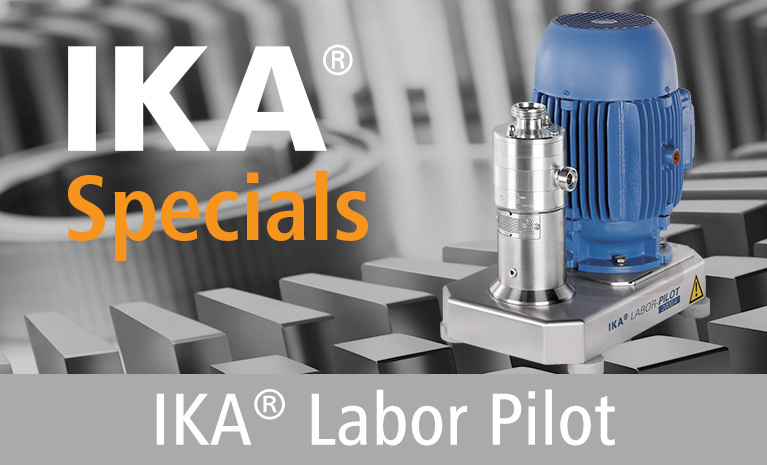 The high shear rotor and stator provide a homogeneous, agglomerate-free product. The high capacities of the CMS can greatly reduce process times. The CMS can be installed in a once-through arrangement, or in a batch (re-circulating) arrangement. 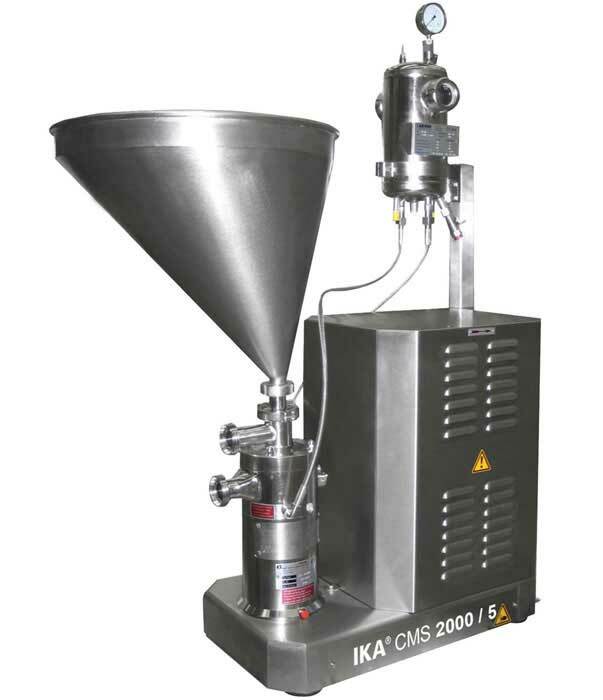 The CMS can be fed by loading the powders into each of the machines. Powders can be manually loaded, or for semi- or fully automatic operation, a conveyor, pneumatic loader, or other transfer system can load the solids. Powders can be suctioned out of a bag or bin with a suction wand. 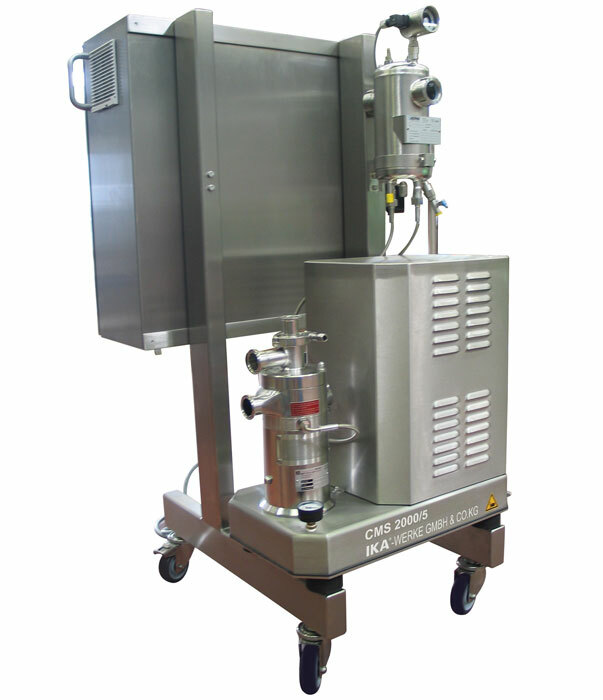 The CMS minimizes handling of the powders, avoiding contamination. The CMS also reduces man-power requirements by making it easy to feed in the solids. Incorporating powders into liquids, without lumps and without dust, is an important part of many processes. 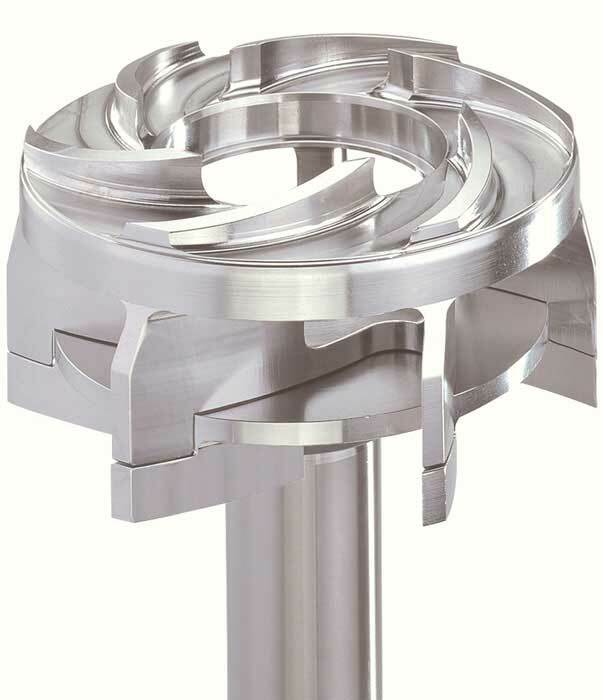 The CMS 2000 utilizes a specially designed rotor that creates enormous suction to draw in solids, while it pumps the liquid at the same time. The liquid can then be re-circulated until all powders are incorporated. Even difficult to wet out solids can be incorporated at high flow rates. In some cases, solids concentrations of up to 80% can be achieved! Additional dispersing can be accomplished by continually re-circulating without adding more powder.